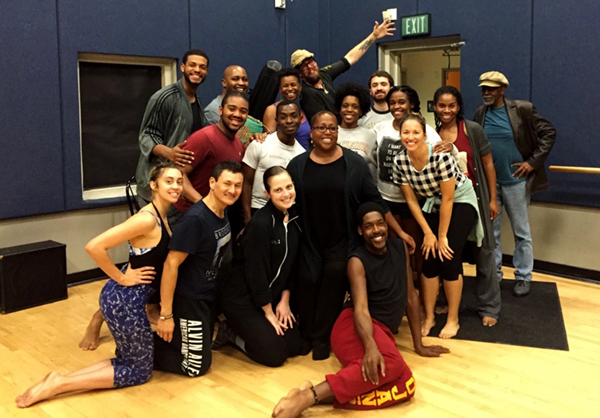 Pat Taylor is the artistic director and choreographer of the JazzAntiqua Dance & Music Ensemble. 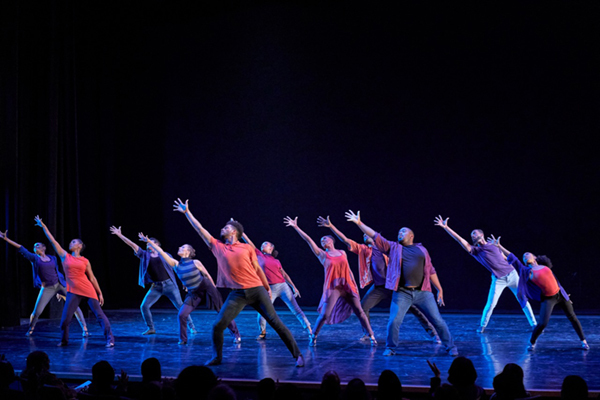 Based out of Los Angeles, the company celebrates the jazz tradition as a vital thread in the cultural fabric of African American history and heritage, and a defining element of the American experience. Here, Pat discusses the continued relevance and underappreciation of jazz as an artform, especially in dance contexts. Can you tell me a little about your history and how you came to create JazzAntiqua? My love affair with dance began around the age of nine when I began taking classes – ballet, jazz, modern, tap – at Los Angeles-area parks and recreation centers where my brothers played baseball. 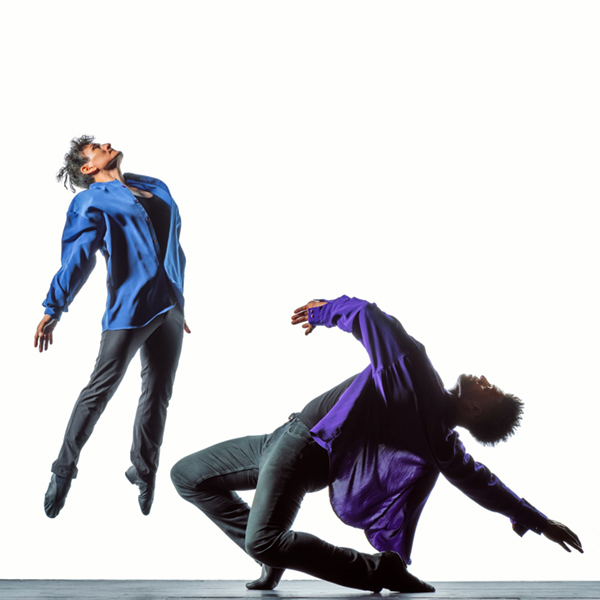 My dance interests truly began to blossom when as a teen I discovered the R’Wanda Lewis Afro-American Dance Company. It was life changing! There I was introduced to West African dances and rhythms, the Afro-Caribbean movement of Katherine Dunham technique (which I went on to study intensely and teach), and the history and roots of jazz dance. I was awakened to the realness of a Black dance aesthetic that epitomized a full-bodied movement style and a continual affirmation of our physical and spiritual connection to the earth, as well as a sense of legacy, relevancy and continuum. 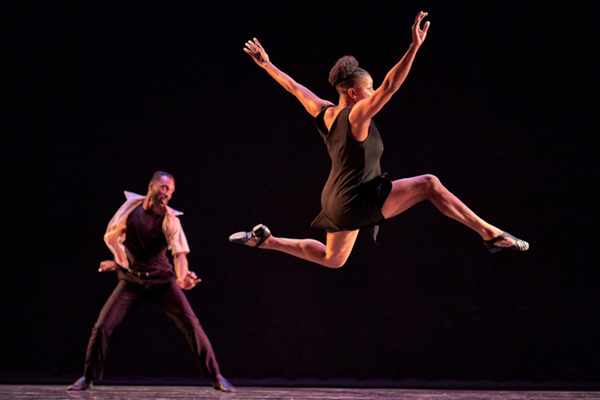 Jazz dance in particular began to take on an entirely new meaning for me that placed it wholly in historical context and cultural significance. I became aware of the conversational relationship between the movement and the music. I went on to major in Dance at the University of California, Los Angeles. My time after that studying at Los Angeles’ internationally recognized Inner City Cultural Center and as a full scholarship student at the Ailey School in New York continued to mold and shape not only my artistic spirit, but also me as a person. Presented with an amazing opportunity, I moved to Europe where I lived and worked for seven years as a jazz choreographer, teacher and performer. My jazz roots run deep, extending back to my grandfather, a popular jazz drummer of the 1930s-40s, and further still to my family’s Louisiana heritage. Jazz was the musical backdrop to daily life as I was growing up in Los Angeles. Yet, it was during the years that I lived and worked in Europe as a jazz dance artist that I truly re-kindled a passion and appreciation for our jazz music and dance legacy. Witnessing the respect afforded the jazz tradition around the world, and looking back towards America from a physical and emotional distance, gave me a new, expansive perspective. For those seven years, I felt a freedom to improvise and explore as I honed my craft and aesthetic without parameters or expectations. I was able to nurture my philosophical approach to teaching and choreographing movement that springs forth from jazz music. How would you describe JazzAntiqua to someone unfamiliar with it? We are an ensemble of dancers, musicians, actor-singers, spoken word artists, educators, culture bearers and artist-activists working exclusively within the richness of the jazz idiom to tell universal stories of love, challenge, struggle, growth, hope and joy through the specificity of an African American lens. Our work has been described as: “evocative, graceful and bubbling with rich, jazzy textures” (Los Angeles Times); “history written on the body” (LA Dance Review); and “a uniquely American concert jazz style” (Bachtrack). In addition to concert performances, we also present classes, community workshops and dialogues, panel presentations, lecture-demonstrations, school residencies and shows. We also have a youth company called LEGACY Dance Ensemble. What does your choreographic process generally look like? It’s pretty music driven, as I typically respond to the stories that I see, feel and hear within the music. Even when I am working from the vantage point of a particular theme or over-arching concept, as I do for our full concert performances, I find that the music I’m instinctually drawn to during that process reveals stories that enlarge and shape the vision. When working in collaboration with a composer where original music is being created, we are journeying together. Ultimately, my quest is for the movement and the music to be in conversation with one another. When beginning a new piece, I immerse myself in the music. I just live and breathe it. Early rehearsals with the dancers are very exploratory. Very seldom will I come into rehearsal with any choreography set. I let myself live through movement what I am hearing and feeling in the music, trying out short movement phrases, seeing how the dancers respond to and interpret those, pulling from the dynamic qualities they bring, and so on. Visually it looks like “follow the leader” as the dancers literally follow along with me. The movement continues to morph; phrases or sections become more set as I continue to unearth our vocabulary for the piece. We have a stylistic language that is definitively JazzAntiqua, so what I’m creating movement-wise is always familiar in that way to the dancers. Improvisation is key in my creative process and in performance. It’s a conversational element that is at the heart of jazz. Crucial is the individual presence, statement and virtuosity within the ensemble effort and how that contributes to the whole. Jazz is a communal endeavor. Are there certain themes or issues that feel important to you to keep exploring in your work? Love, the blues, freedom and home are four major themes within my work. These are themes I find inherent in jazz music, and which also figure strongly in the jazz imbued visual art, literature, spoken word and theater that I intersect within my interdisciplinary approach. There is an interesting way in which the use of tension and resistance in dance can create the experience of freedom. The use of oppositional force in our dancing (for example, our very intentional resistance to the pull of gravity) creates a strong and steady base from which we can move freely and with abandon, with self-determination and realization. This use of tension and resistance to facilitate freedom is present in jazz music, and it resonates metaphorically in my choreography as I relate it to cultural, social and historical dynamics. I have contemplated home in terms of a motherland, place of origin, the beginning. More recently, I have begun to touch upon home in terms of the here and now, thinking of how displaced, marginalized and oppressed people establish roots and connect to a place and time, as well as to one another. I have also been contemplating the inability to claim somewhere as home, as well as the reluctance in making a place home and how these two notions might manifest themselves in one’s spirit and within a cultural dynamic. In your experience, is recognition of African American art forms like jazz improving over time? In thinking about jazz dance in particular, I do find there is more discussion and conversation about the art form taking place. For example, 2014 saw the publication of Jazz Dance: A History of the Roots and Branches, the first book in decades to explore jazz dance philosophically and historically. 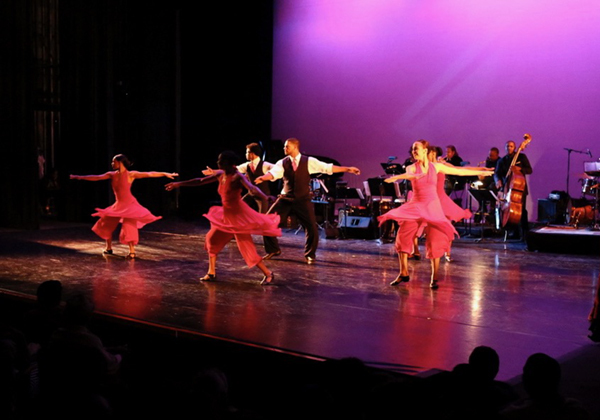 A new documentary on jazz dance is in the works, and this summer the National Dance Education Organization will host its second special topic conference with a focus on jazz dance. But this level of contemplation, examination and discourse often appears to only take place in the world of academia. What I am passionate about and what I facilitate through JazzAntiqua is to have these conversations and explorations happening at the community level. We do so through open rehearsals, community workshops, artist talks and our ongoing series of community conversations called The Community Salon. Conversation – sharing stories, exchanging ideas and reflecting on experiences – is vital in all that we do. How do you see jazz evolving in the future? One of the most engaging characteristics of jazz is that it is ever evolving. That’s its nature – a rootedness coupled with an expansiveness and fluidity that allows it to echo current times conveying a myriad of stories while remaining connected to its origins. It is a continuum. I don’t think we can predict what forms or expressions it may take in the future. All I know for certain is that it will. I’m very excited about my current project! It is a new piece that JazzAntiqua will premiere at the Palm Springs Dance Festival Gala Concert on March 9th at the Annenberg Theater. The work is titled “Suite Nina” and is set to music by the amazing Nina Simone, an artist who I have tremendous love and respect for. We’re using sections from four compositions: “Central Park Blues,” “Sinnerman,” “Plain Gold Ring” and “I Wish I Knew How It Would Feel to Be Free.” It will be just a little under 10 minutes in length for the Palm Springs performance, and I’m looking forward to expanding the work for some performances later in the year. To learn more, visit www.jazzantiqua.org.